This Package Includes everything needed to explore a new romance or rekindle an existing one with that special someone in your life. Enjoy a one night stay in a spa suite with a queen feather bed, fireplace, & a large spa tub for two with bubble bath & scented candles, soft fluffy robes, a chilled bottle of champagne or sparkling cider in your room upon arrival. A rose bouquet, a box of Bernstein's chocolate truffles. Basket of snacks, stocked refrigerator, hot tea and fresh baked pastries are available throughout your stay. When you cross the threshold of Westport Bed & Breakfast, you will at once enter into the luxurious world of Midwestern Aristocracy. Experience hospitality amidst the luxurious comforts, both of yesterday and today. Settle in, leave your auto behind, and meander the charming downtown streets of Manitowoc, Wisconsin. Upon returning to our Inn, settle into your cozy guest room, most of which feature in-room double whirlpools and gas fireplaces. 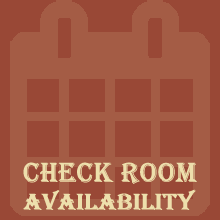 Unpack your bags in the Serenity Suite, Grandma’s Suite, Bess’ Chamber, or The Liberty Retreat, then relax and make yourself at home at our cozy Bed and Breakfast. 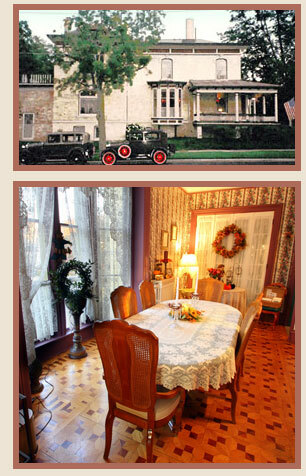 You’ll feel as if you’re settling in for a restful getaway at your Grandmother’s house. A four-course candlelight breakfast is served in the dining room each morning of your stay at our delightful Manitowoc Inn. While you’re here, take the opportunity to venture into our beautiful flower garden, which is buffered from traffic by protective hedges all around. It’s as if you have your own private oasis to enjoy as you see fit. Feel free to play a game of Croquet on the lawn, or watch the passersby while gently rocking in the swing on our exquisite wrap-around porch. 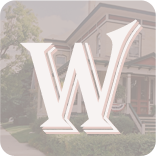 The Westport Bed and Breakfast is a convenient lodging location, situated just a few blocks north of the Manitowoc shopping district. Nearby is Milwaukee, just 1 hour away. Chicago is 3 hours south, Ludington, Michigan via S.S. Badger is 4 hours, and Door County and Green Bay are only a short hour’s drive away. Manitowoc makes a great home base for your travels in the beautiful state of Wisconsin.